I just read on VisorDown that Honda has unveiled a CB300F. 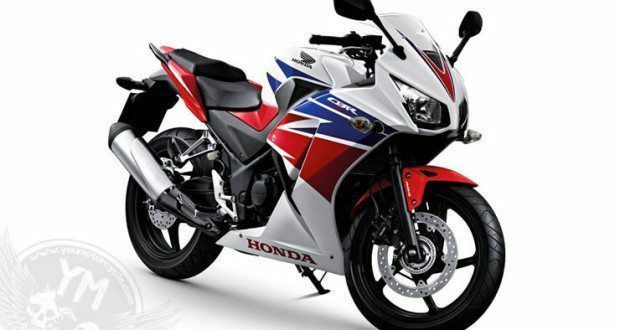 It uses the same frame as the Honda CBR300R we talked about way back when, but with more upright ergonomics. This light and nimble-handling naked bike offers plenty of fun for motorcyclists—experienced riders and those new to the sport. Featuring a 300-class engine, the new CB300F carries a dash of attitude along with its versatile creds. Whether you’re commuting, zipping around town or headed out for a weekend ride, its roomy ergonomics, great handling and broad powerband make every ride a blast. PS: Thanks to Fuzzygalore for the Thursday Throwback inspiration! Nope. Just because Honda and Kawasaki are locked in a mini-sportbike war doesn’t make the Rebel, Suzuki GW and TU 250 or Yamaha/Star V-250 disappear. People who don’t want to be folded up like umbrellas will still opt for a sensible riding position, wider powerband and less frantic motorcycle. If I had to buy a new motorcycle I wouldn’t waste my money on junior racebikes. Among the four I already mentioned and the Honda CB500F are a better choice. Also if you look at Cycle World you’ll see that Kawasaki is thinking of bringing a 250cc single cylinder, naked or Ninja style, to the States to make up for the 300cc bike’s hyper active nature. Not sure I agree with Jim, just because they look like a supersport bike doesn’t mean they are…they are really just UJMs with plastic bodies…my buddy had a Honda CBR250 and loved it. Sold it to buy a KLR650, thinking the adventure riding thing would be more his style…but he has now sold the KLR and is looking at getting another small displacement bike to replace it…I’d imagine that the CBR300 is on the list, or a used CBR250? He rode that thing from Red Deer, AB to Vancouver Island and toured around…never a problem with keeping up (he was riding with 600cc bikes) since the speed limit averages around 100kph and the CBR would get up to 160kph (indicated), so plenty of speed there…even the other guys he was riding with were amazed that they weren’t being held back by the “little bike”. We just need to get away from the “I need the biggest, most powerful bike I can afford” mentality and get a reasonable bike (and my small bike is a 1300cc…so I’m one to talk). I started out riding a 500cc twin, but quickly fell into the trap and wanted “bigger, faster”…now that I have it, it really doesn’t make that much of a difference…would I step down to a 300cc bike, not sure (probably not) but the incredible fuel consumption of these smaller displacement bikes and their ability to do what’s needed is quite the lure…if I was going to buy a city bike, I don’t think you need anything bigger than a 300cc, since the biggest difference with the powerful bikes is at hiway speeds…I still miss my “little bike”, a 2003 Suzuki GS500…it was a great bike that never gave me any problems, I just wanted “MORE POWER” and dumped it after the first season…should have kept it! I bought a CB300F about 6 weeks ago and have put 3,500 km on it. Look, you get what you pay for. I have a buddy that spent more on accessories for his BMW 1200 than the $5,000 I paid for the CB300F. 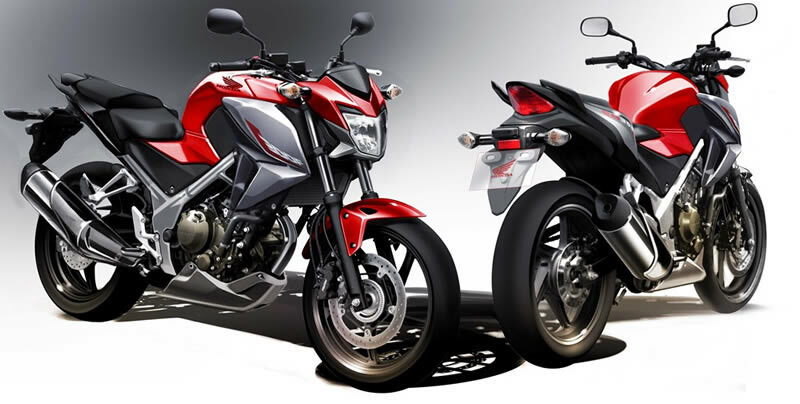 The biggest weakness the CB300F and its twin, the CBR300, have is the engine. The single cylinder just doesn’t do much for the bike but I’m sure it does wonders for Honda’s bottom line. To prove that point, I recently took the Yamaha YZF-R3 out for a test ride. 3 minutes is all you need to figure out how how easy it would have been for Honda to do right by the CB300F. The Yamaha YZF-R3’s twin cylinder engine makes the Honda’s single feel like a sewing machine. I’m not saying the CB300F is all bad, but lets understand the limitations Honda accepts at the outset with its decision to go with a single. What the CB300F does well is have an easy to take riding position for running around town on. If Yamaha could take its engine and give it the naked (or near-naked), upright position, I think they’d have a huge winner. Of course I could move up to the CB500F and I might do that. But I don’t want 500cc. I don’t want the extra 50 pounds of bike weight, I don’t want to pay more for insurance, I don’t want to pay more for gas, I don’t want to price-creep to $6,000 and I don’t want to go as fast as 500cc would take me. Knowing your limits and playing within them will help keep you safe on a motorcycle. 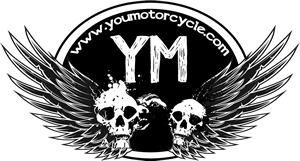 We see way too many single vehicle motorcycle accidents, and even in multivehicle collisions “speeding may have been a factor” comes up all too often. Your single will be light, nimble, and get you fantastic mileage, but you might find that it has its limits. For example, I much prefer my 800cc bike over my 250cc v-twin on the highway, in part because I appreciate the extra weight and the longer wheelbase. It makes for a more stable ride in windy conditions. The extra power available isn’t always used, but it is nice to have, in a “you never know when you might need it” kind of way. Ride safe brother! Oh, and please consider sending in a full review of your CB300F if you’d like to share it on the site! I don’t understand the movement back to single cylinder street bike engines. Honda sold the 250 Nighthawk for years to general approval. Suzuki sells the DW-250 twin and no one calls it slow. I know in the third world single cylinder sportbikes sell like hotcakes but we have Interstates here and twins are much more relaxed and less buzzy than singles. I thought single cylinder street bikes would stay dead after the Gold Star perished. I guess history does just repeat itself. A bike for every rider and a rider for every bike. A friend of mine loves riding his Honda CBR-125R all over Toronto, Canada. The small single averages 95-100 mpg. A light weight fuel-injected single cylinder may not be the most effective motorcycle, but it may be the most efficient.